BWA-110 concrete mixer is known as the best-selling concrete mixer in the class of small concrete mixers. A total capacity of 160 liters (working capacity 110l) so that it will do well during the renovation, as well as small construction, works. At first glance, it may look inconspicuous, although driven by the Besel – Polish engine (1100W) together with a cast iron rim and gear is able to provide many years of efficient work. A solid steel structure weighing 105 kilograms guarantees stable work on every ground in full load. The use of the scroll wheel in the drum tilting adjustment mechanism ensures smooth unloading of the ready mortar onto the wheelbarrow. Its small size thus it is also easy to transport and store. 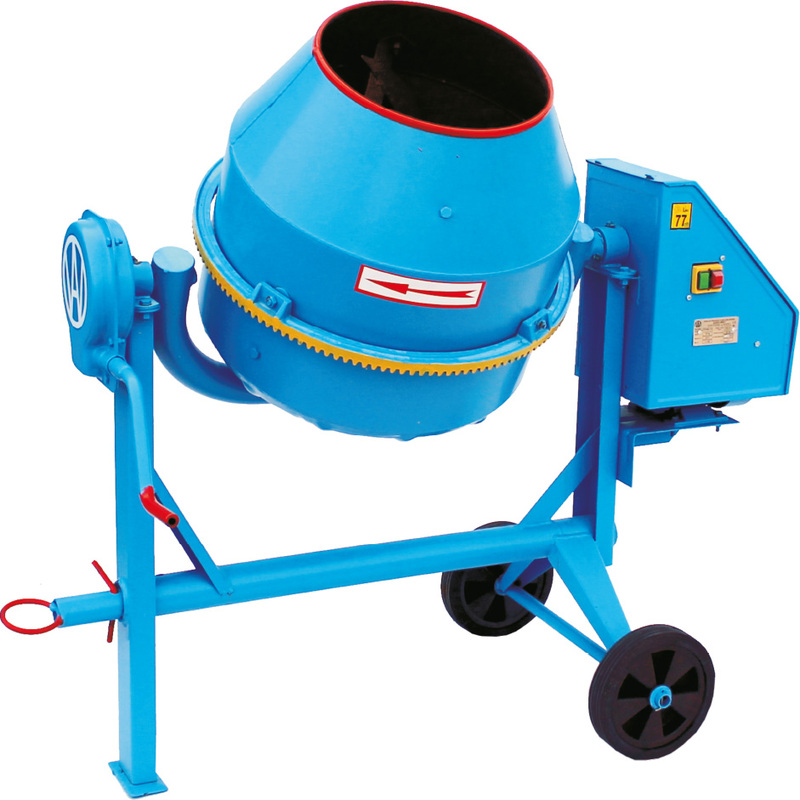 As a manufacturer of concrete mixers, we usually include a 3-year warranty for this model. To sum up: the Agro-Wikt BWA-110 concrete mixer combines the best features of a modern concrete mixer, that makes which it fully deserves to be called a professional tool for small repair and construction companies.